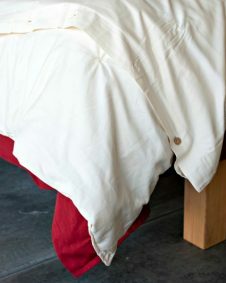 Protect your wool filled comforter with a smooth Organic Cotton Duvet Cover made by Coyuchi. This GOTS certified organic cotton is soft to the touch and durable. Support sustainable farming practices by purchasing organic cotton products. 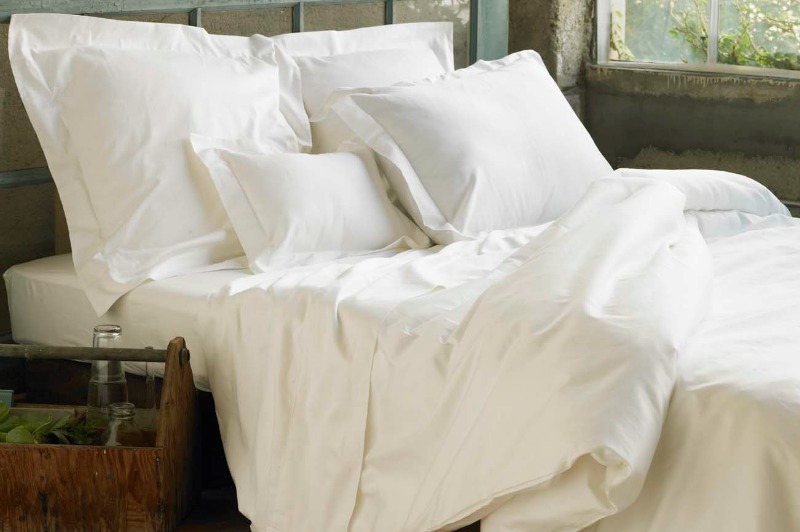 We stock Coyuchi Organic Cotton Duvet Covers in sateen and flannel. Soft and durable, our comforter covers will protect your comforter and can take the place of a flat sheet. Considering that commercially grown cotton is sprayed with the largest amount of harmful chemicals of all the crops in the world, we are committed to supporting farmers who are breaking this pattern of abuse to the planet by growing their cotton organically. Feel a great sense of relief by purchasing organic cotton duvet covers that are not only soft and luxurious but are also clean and pure. Sateen is a weave in which many threads are aligned tightly together in the vertical direction, creating a smooth, lustrous and very soft surface on one side of the fabric and a slightly matte one on the other. Often described as buttery, sateen is warmer to the touch than percale, and because it drapes against the skin, it has a cozier feel. These qualities make it a good choice for cold seasons or for people who tend to get chilly at night. We also love sateen for its matte luster and ability to resist wrinkling. 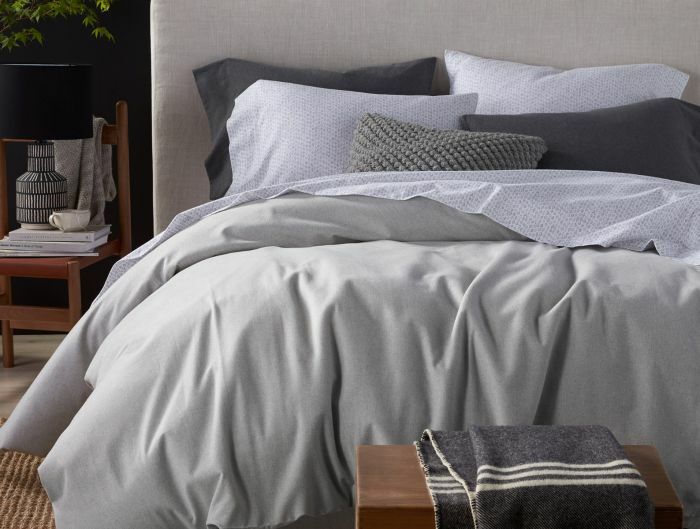 Woven from long-staple cotton, our 300-thread-count classic Sateen has a super-smooth surface that resists pilling and holds color beautifully. 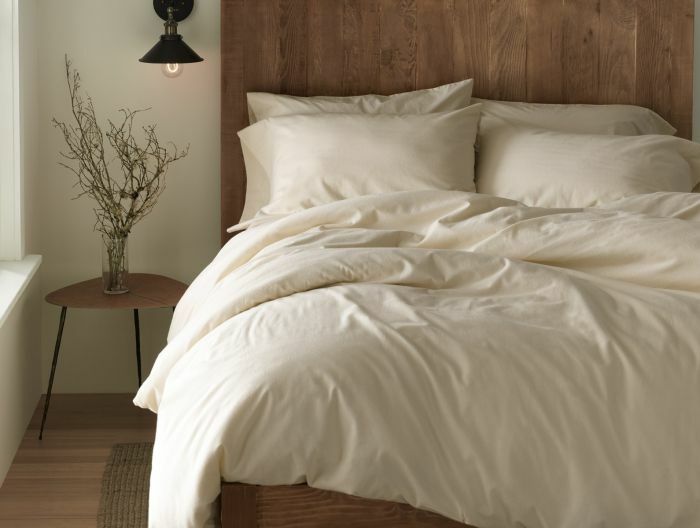 Our 500-thread-count sateen gets its silky smooth hand from organic pima cotton, a lustrous long-staple fiber that creates exceptionally strong yarns. High-quality fiber lets us weave our sateen from superfine, single yarns (not multi-ply yarns, in which threads are twisted together in thick bundles), making it feel warm to the touch and giving it a luxuriant drape. 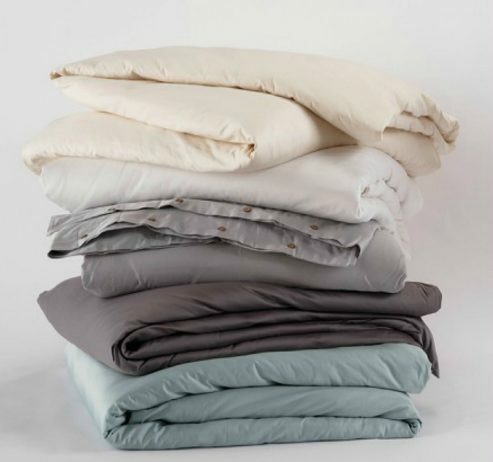 Longer fibers mean fewer ends, too, so our sheets resist pilling to stay smooth wash after wash. An elegant stitch detail edges the flat sheet and pillow cases. Flannel is a medium-weight, plain-weave fabric that’s brushed—or “napped”—on both sides to create a supple, fuzzy surface and an extremely soft feel. Our flannel is pure cotton, woven from thick yarns and brushed many, many times then given a hair cut to create ultra-cozy sheeting that resists pilling. At a substantial 6 oz., it’s great for cold nights or nights when you want to sleep with just a sheet that has enough weight and warmth to keep you snuggled in. I love the sateen duvet cover and pillow cases !!! Other sateens are shiny/slippery … this one is soft and cuddly. And it hardly wrinkles. 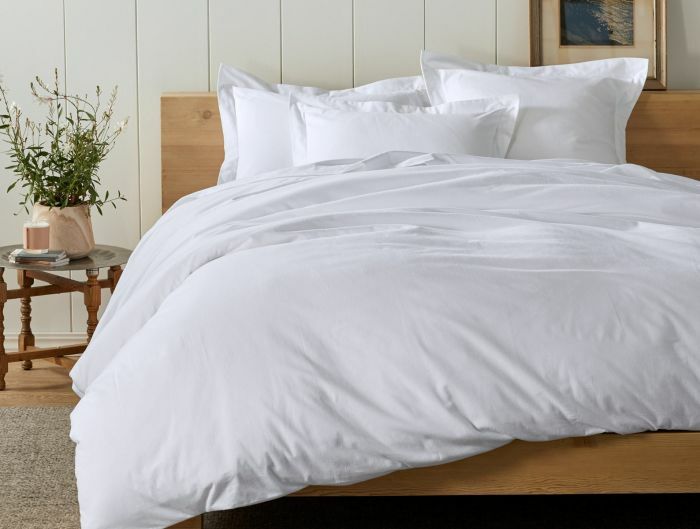 It’s really soft and buttery and I think the price is great for how long I know it will last. I’ve had it for about 2 years now and can’t imagine having to get another one for a long time. It’s a very comforting part of my bed and I felt instantly at home when I first got it. And it just gets better with age! Thank you Jamie for your comment! 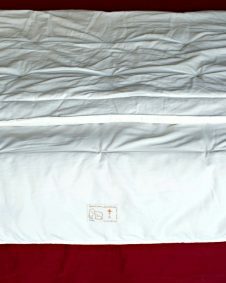 So happy to hear that your organic cotton duvet cover is working so well…they really high quality sheets! And of course our little furry friends know where the most comfortable place to be is!